Concordia University is also featured in our ranking Top 10 Online Master’s in Education Degrees. 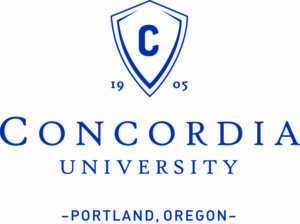 Concordia University, located in Portland, Oregon, is a Lutheran, nonprofit, private liberal arts university. It was founded in 1905 as a school dedicated to preparing students for college, and the university added college-level classes in 1950 before splitting from the high school in 1977. Concordia educates approximately 5,400 graduate and undergraduate students each year, and it is affiliated with both the Concordia University System and the Lutheran Church-Missouri Synod. Concordia University is located on a 12-acre campus in Northeast Portland but also operates branch campuses across the state as well as the Concordia University School of Law in Boise, Idaho. There are 18 majors divided up among four colleges, including the College of Arts and Sciences, the College of Health and Human Services, the School of Management, and the College of Education. The school’s master’s degree in education became its first program to be offered completely online. Concordia University was ranked the 80th best regional university in the west by U.S. News & World Report in 2013. Concordia University Portland offers three career-focused M.Ed. programs and 14 different concentrations, allowing students to tailor their degree to meet their career goals and needs. The degree program is available completely online without a fieldwork requirement, and students can earn the degree in just one year by taking one course at a time for five weeks. The M.Ed. in Career and Technical Education is designed for qualified or licensed prospective career and technical education (CTE) teachers at the high or middle school level. In this degree path, students will choose a career and technical education research topic and apply, investigate, and demonstrate their skills and knowledge in a capstone project of their choice. Coursework may include topics such as basic teaching skills, effective classroom management for the CTE classroom, character and ethics of leadership, and math in career and technical education. The M.Ed. in Curriculum and Instruction features 14 different concentrations for teachers who wish to specialize in a particular area. Students learn to apply best practices and research theory in their classroom, promote alternative strategies and goals, and modify their instructional plans to accommodate diverse classrooms. Areas of specialization include mathematics, leadership, early childhood education, adolescent literacy, reading interventionist, social studies, science, and more. Students may also be able to choose two areas of study and earn one M.Ed. degree with two specializations. The M.Ed. in Educational Leadership provides the necessary skills for teachers to pursue leadership positions in their schools. Through this master’s degree, students learn to integrate technology, implement and design a curriculum, and use research-based methods to assess school environments and classrooms. Educational leadership-specific courses focus on areas such as organizational change, case studies in law and ethics, school and community partnerships, and strategies for enhancing student achievement. All candidates seeking an M.Ed. from Concordia University Portland are required to complete a capstone program. In most cases, students can choose from either a practitioner inquiry course or an action research course. The former provides an opportunity to reflect on teaching methods and make improvements based on classroom observations. The latter provides an opportunity for students to develop their knowledge of action research methodology and design an action research proposal that consists of analytical approaches and data collection methods. Students interested in the online M.Ed. degree should be aware that earning this degree does not lead to state licensure or certification. Instead, these degrees are designed for practicing educators who are looking to use credits toward their professional development or to enhance their skills. Students who earn a Master of Education degree from Concordia University are prepared for a number of careers both inside and outside the classroom, including professional development leader, adolescent literacy consultant, reading or literacy coach, division or department chair, reading tutor, director of curriculum and instruction, or adolescent literacy program advisor to state legislatures and/or Congress. As a regionally accredited school, Concordia pursues distance education with the same commitment to excellence and passion that has marked the school’s 110-year history. The online degree programs, including the Doctorate of Education and the Master of Education, are accredited by the Northwest Commission on Colleges and Universities (NWCC). NWCCU accreditation means that the school meets the commission’s established and rigorous standards of educational effectiveness and quality. Students seeking an online Master of Education degree from Concordia University Portland must complete and submit an online application for admission. Applicants must also send official transcripts that show they have earned a bachelor’s degree from a regionally accredited university of college. Students have the option of allowing Concordia to obtain these transcripts or requesting them on their own. Other required documents include one confidential letter of recommendation, a personal character questionnaire, a statement of intent, and a detailed resume that indicates previous work experience. Students may also be required to participate in an interview with department faculty members. Those seeking admittance into the online M.Ed. in Administration program should also demonstrate three years of successful licensed personnel service or teaching experience in regionally accredited private schools or public schools. Applicants must also complete a personnel service or teacher preparation program as well as hold a valid Oregon teaching license. The letter of reference required of all applicants must be written from a direct administrator or supervisor to verify the applicant’s potential and strengths based on an assessment of skill in human relations, management, and leadership. Students pursuing the online Master of Education (M.Ed.) program from Concordia University will have different tuition rates depending on the credits they take. The estimated cost of the 18-credit program after scholarships is between $9,130 and $12,546. The estimated tuition of a 34-credit program after scholarships is between $17,840 and $23,698. Concordia University Portland also offers scholarships to M.Ed. students to help offset the cost of tuition. Students are encouraged to apply for financial aid as soon as possible by completing the Free Application for Federal Student Aid (FAFSA). Possible forms of financial aid include the Lutheran Educator Scholarship, the District Partnership Scholarship, and the Lutheran College or University Alumni Grant. Concordia University students may also be eligible for the M.Ed. Educational Resource Scholarship or the Graduate Leadership Scholarship.